The health effects of exposure to cleaning products depend on the specific chemical used, as well as the amount a person or animal is exposed to. Burning or itching of the eyes, skin irritations, headaches, nausea and cancer are all possible effects. Be a diligent label reader. 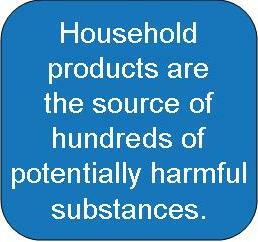 If a cleaning product is hazardous, it will say so on the label. Be aware of the words Toxic, Flammable, Combustible, Corrosive or Strong Sensitizer and, of course, Danger, Poison, Warning or Caution . When using any cleaning product, be sure to read and follow all of the manufacturer's instructions and recommendations. Wear protective clothing such as eye protection and gloves when working with cleaners.